You'll see a lot of tails wagging in our two specially designed indoor playrooms. Padded, non-porous floors reduce the risk of impact injuries to your dog and help keep our playrooms clean. Outside, your dog can bask in the sun, wade in the pool or run in our large outdoor dog park. 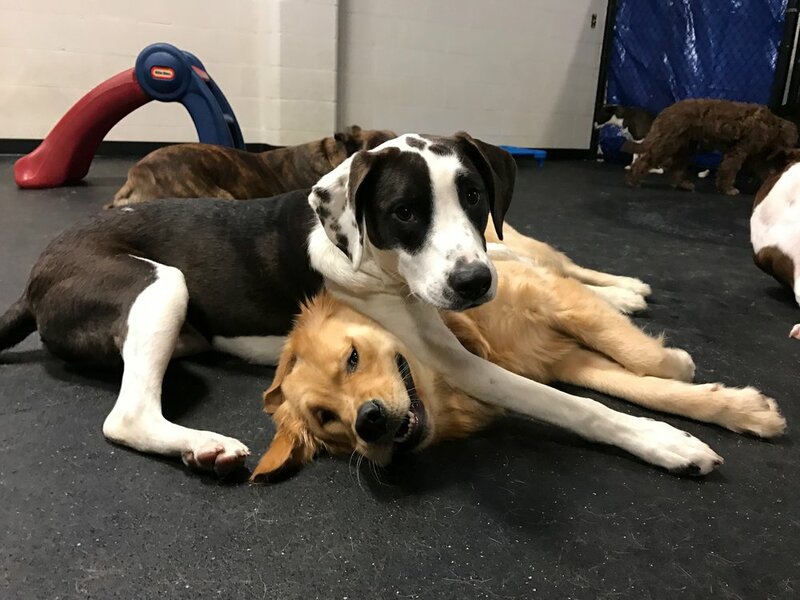 Depending on your dog's size and personality, we'll place them in the playroom that will best suit their play needs, allowing them to participate in their own unique way, at their own comfortable pace. Dogs stay under the constant supervision of our loving, trained Dog Days staff, who ensure that each dog receives plenty of exercise, outdoor potty breaks and plenty of water. Our playrooms also have rest areas to allow dogs that need some down time to take a break. Your dog's safety, health and enjoyment are our top priorities. While we do take walk- ins, we do recommend making a reservation in advance because we do fill up. We require all daycare dogs to be dropped off before 12pm daily.